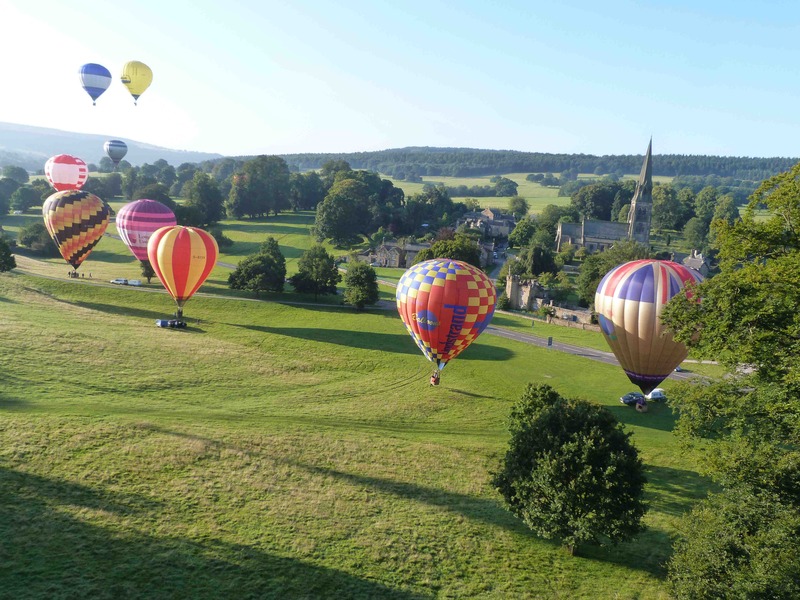 A firm favourite, and an invitation meet at that, Chatsworth is certainly a jewel in the ballooning year especially when the sun shines and the bagpipers are quiet. Having had something else to do, these past few years, Dave Jenks decided 2015 was the year to return. This is how he nearly didn’t! Don’t worry it has a happy ending, honest. 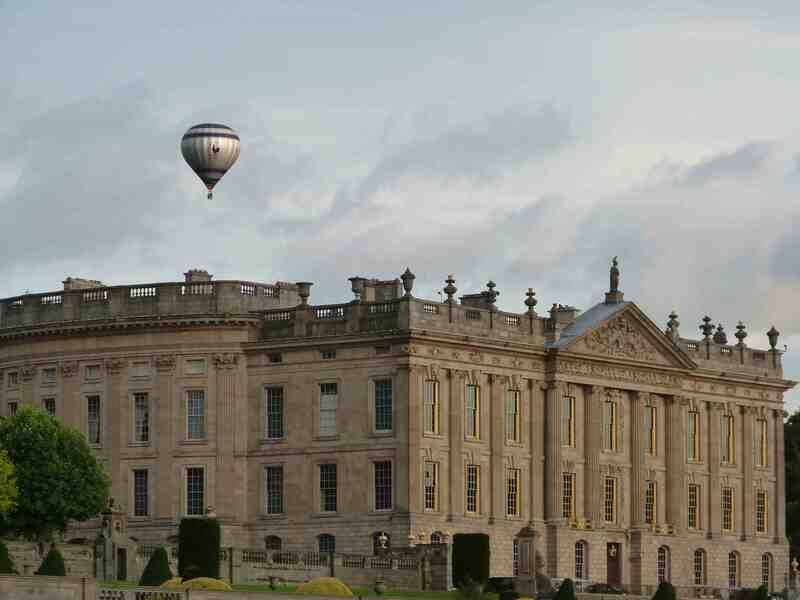 For one reason or another I hadn’t been able to get to Chatsworth for the last couple of years, however my invitation came again this year which prompted me to make a rash decision to enter even though there were some six months between then and now. Far too much time for things to go awry. Well, very slowly things unravelled, some positive some not so, but in the end we were all smiles. At about the time I entered I changed my trusty old and by now very rusty and wary VW transporter for a much smarter new version. That was a good move but the problem came when I wanted to transfer the rear holding box and canopied back, which is usually occupied by my work stuff and when not working it played at carrying the balloon for which it had been originally designed and built. To cut a long story into Quick Release sized bits it took a body building shop all summer to repair/build a new chassis and then fit it the week before the beginning of September. As you can imagine there were numerous frantic moments when it should have been finished and wasn’t, but finally we got there. The next anxious moment was a C of A. Now Mr Dunkley in his ever ebullient fashion pulls things apart, has a fiddle then makes intelligent sounds to the effect that at least the bottom end will last another year, however the envelope has to go under the hydraulic thumbs of “seamstress” John, “Johnny the thumbs” as I called him as he was nipping holes with gay abandon in the in G-IWON’s parachute. The old girl is getting on in years and hours, but a proper grab test showed she was on the cusp of a major face lift. Johnny set to and repaired a number of thumb holes, then after a bit more hilarity I was sent on my way with the chance to fly for another year, and of course go to Chatsworth. 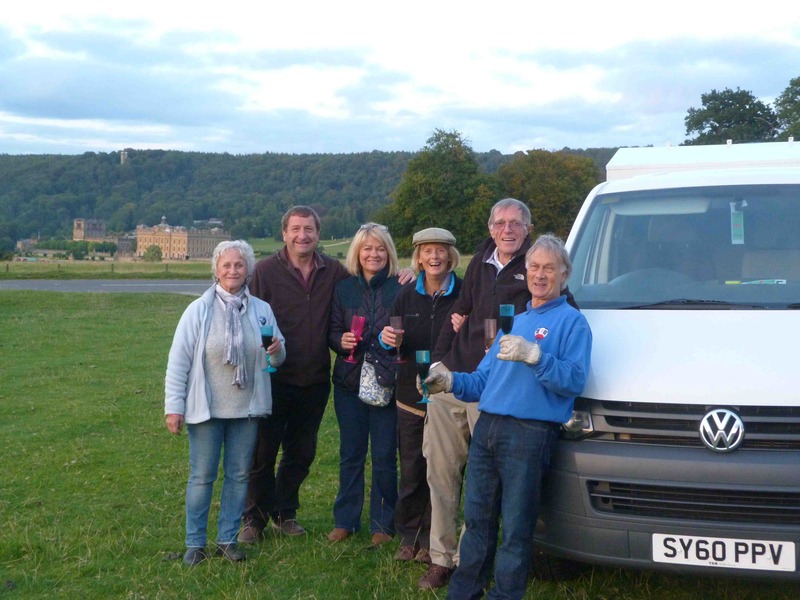 Now for the final and third uncertainty our trusty crew had had an offer to go to Canada for three weeks, which took in Chatsworth, AAhh! Surely Chatsworth would have been preferable. Well we still had Nigel who has been with us for many years and been with us to Chatsworth before, so was keen to go and make it up as we went along. Finally we arrive on Friday afternoon and checked into our B and B with a charming lady who has accommodated us on a number of occasions. After a very welcome cup of tea it was time to find Jeff Percival on the launch field. Having checked in, just in time for the evening briefing where we caught up with many old friends, which instantly reminded one of why this event is one of the special ones. Unfortunately Friday evening was not the best, however four balloons did go, one of which did not return until 23.30, and not because they had a long romantic dinner. 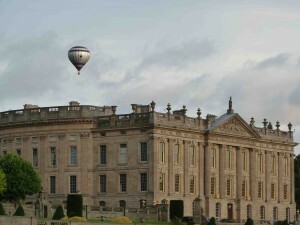 Saturday morning was again a damp squib, but then the evening was back to a Chatsworth special. Slow and a bit variable, so the three of us set to, inflated, all climbed aboard, was just about to take off when Peter Marshall wandered by and wished us well, as he did Looby threw him the keys to the truck and said we weren’t going to go far, the truck is easy to drive. “Bar stewards” or words to that effect softly emanated as we drifted away. After a short 20 minute hop amongst the trees we ended up on the other side of the park with a number of other balloons. Fortunately Peter did keep up and was ready to greet us, but all he could say was great truck, but it kept shouting at me. Well, just in front of the gear lever is a touch screen hands free thingy, if it is touched it activates, the voice goes through the radio and if it is tuned loud (which it was) it can be spooky, with Peter shouting back for it to shut up, it just kept talking back at him. Oh, how we laughed. Nadia and Steve Waterton also arrived, so as many hands make light work we were soon packed up and eager to crack open some wine and nibbles and chat, oblivious of how dark it was getting until we couldn’t see what we were doing. Reminiscent of many of my early balloon flights and how enjoyable an impromptu glass of wine can be. Sunday morning was to be even more of a Chatsworth lottery, extremely light and very, very variable, up, down, in, out, round and round eventually we did manage after 40 minutes to get over the hill amongst the trees and land adjacent the first tee on the golf course, where we were greeted by a couple of ladies in their dressing gowns from the nearby house who offered some tea, well! one just can’t say no can one? So, I walked back to the launch area to collect the truck to return just in time for the aforementioned tea. If only we could find hospitality like that at every landing. Although the flights were short and sweet the situation they each created reminded us of why we love ballooning. My map is with Jeff ready for next years updates and I can’t wait for the invitation.